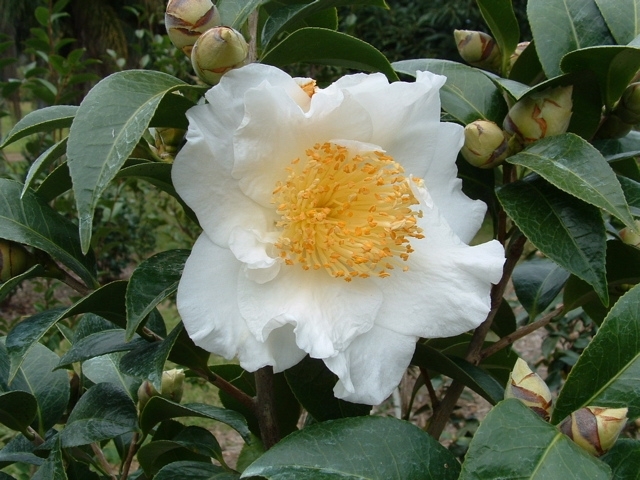 This C. japonica seedling was originated at Nuccio's Nurseries, Altadena, California in 1969. Nuccio's #6503. Bloom: Large to very large white irregular semi-double bloom with wavy petals.